We’re so excited that the Purple Purse Challenge has started and our donate button is now live. 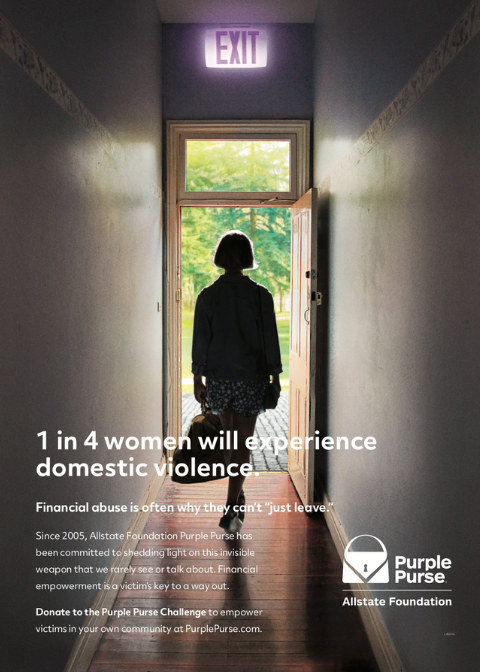 In this fundraising campaign launched by Allstate Foundation, organizations combating domestic violence compete to raise the most money with the top teams winning grand prize cash donations. The YWCA can’t continue to provide comprehensive, wrap-around crisis services to victims of violence without your support. Your gifts have helped us provide a 24-hour Coordinated Crisis Response (CCR) Hotline, a collaborative project with Samaritan House, HER Shelter, and Genieve Shelter, and the wrap-around services that accompany our collective response. With your support, we’ve been able to answer more than 21,680 calls since its inception in October 2016. Every dollar counts and we work hard to ensure our families have the support they need each day. Please consider making a gift to support the YWCA services in our community. Your gift will help the YWCA to continue to serve women and children in crisis during a very busy fiscal year. A gift of $75 provides a victim with a Physical Evidence Recovery Kit after being sexually assaulted. A gift of $150 provides two nights of shelter for a woman fleeing her abuser. And $250 provides a domestic violence or sexual abuse survivor 5 sessions with a licensed counselor at the YWCA. Making a contribution will take you no time at all and will mean so much to us. Please Go Here and click the DONATE button to make it happen. Every $25 you donate earns one entry to win an exclusive purse designed by Serena Williams at the end of the month! Please contact Development at 757-625-4248 if you have any questions. YWCA of South Hampton Roads is a nonprofit 501(c)(3) organization (employer identification number 54-0506491). Your donations are fully tax-deductible to the extent allowable by law. To view a copy of our most recent audited financial statement, visit our Financial Statements page. Finances are the #1 reason victims can’t “just leave”.